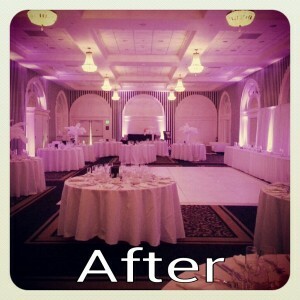 Up lighting – Can turn ordinary venues into something more dramatic and it is often used these days for wedding lighting. Lights are fixed at key locations in the room and are projected to the wall or ceiling, creating vibrant columns of colored light. Pin Spot lighting – Produces a focused beam of light to highlight a special area or object. Good to light up centerpieces, wedding cake, or your top table. Message Gobo – With gobo lights, monogram lighting is possible – you can project a message onto the reception wall. This could be the name of the happy couple, or some other custom message for your wedding. Image Gobo - Used for projecting colorful images onto the wall or ceiling. You could use this to project pictures from your wedding theme, for example hearts, birds, stars, etc..
For wedding party lighting ideas, using up lighting for wedding receptions is indeed one of the most-sought after services that many couples want to have as this simple technique can make everything look more appealing and dramatic. 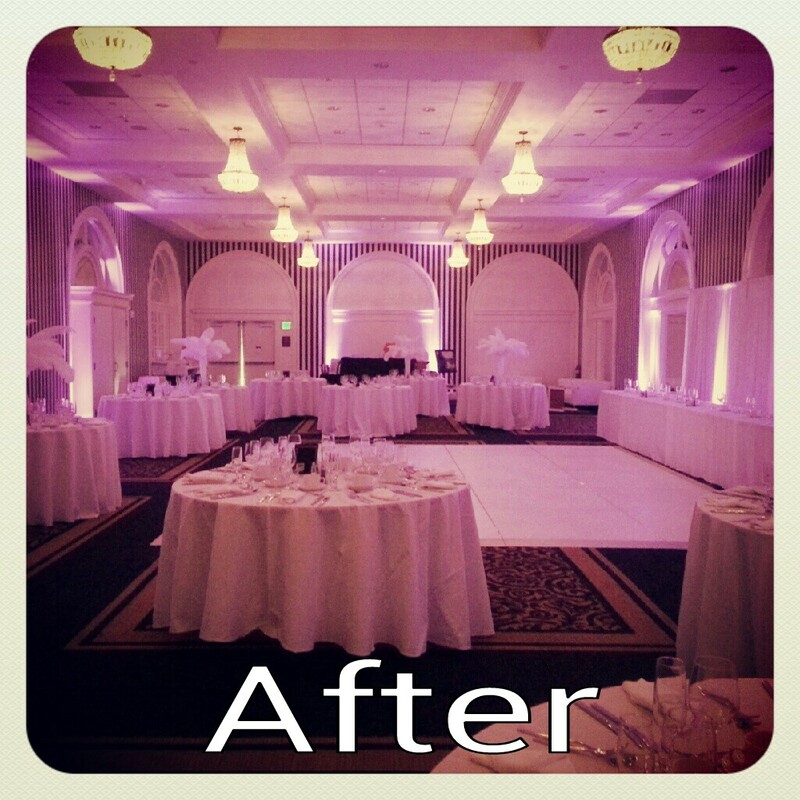 With up lighting you can turn your wedding cake, your centerpieces, the table and the whole venue into something more enchanting and create a whole new effect for your wedding reception. You can even create a gigantic up lighting decoration as a talking point for your guests. 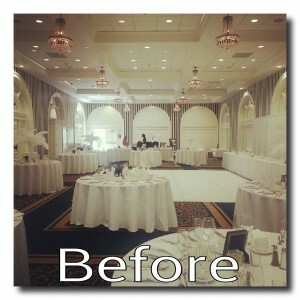 Having a wedding DJ? Then DJ up lighting is also popular for creating that night-club feeling. The dramatic effect of up lighting is created by “floor uplighters” installed on the floor of the room which reflect up at the walls and ceiling of the venue – that lights up and adds drama to the entire place. Of course, if you add colors to the lighting and reflection, you get a dramatic effect of colored lights illuminating the walls and ceiling of the room.